last.fm celebrated 10 years of scrobbling in December 2012. O Street were employed to develop a piece of print to celebrate this exciting milestone. 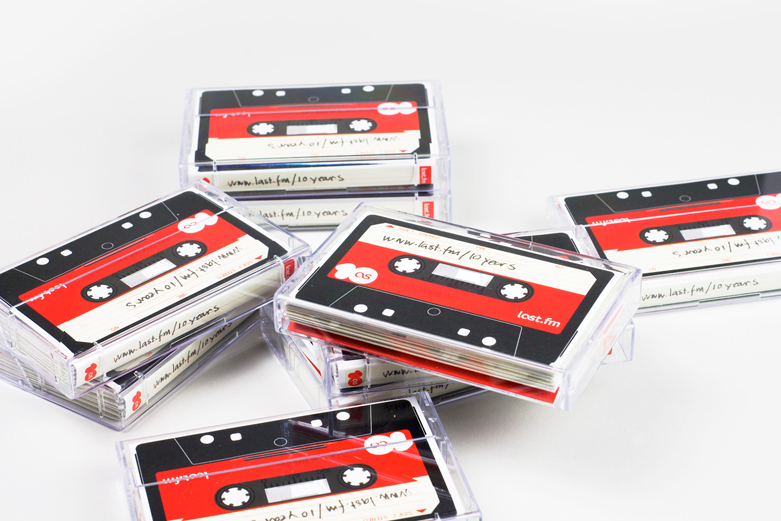 We developed a concept based on the familiar and much loved cassette format. A concertina booklet charting trends over the last 10 years was placed in a plastic cassette case and sent out to last.fm’s most dedicated followers. The initiative was hugely successful and no doubt prompted many people to dig out those cherished compilation tapes from their youth. Although Neil-O has been banned from playing his early 80’s boyband mix tape in the studio.